Each week, staff members nominate and decide on 1 student who has displayed exceptional progress with their academic or behavioral goals. 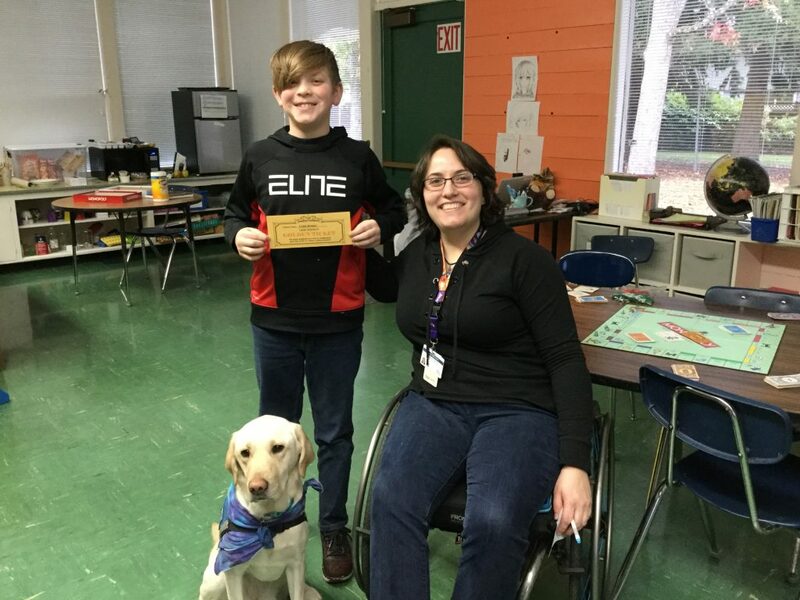 Staff hide a “Golden Ticket” somewhere in the selected student’s homeroom. 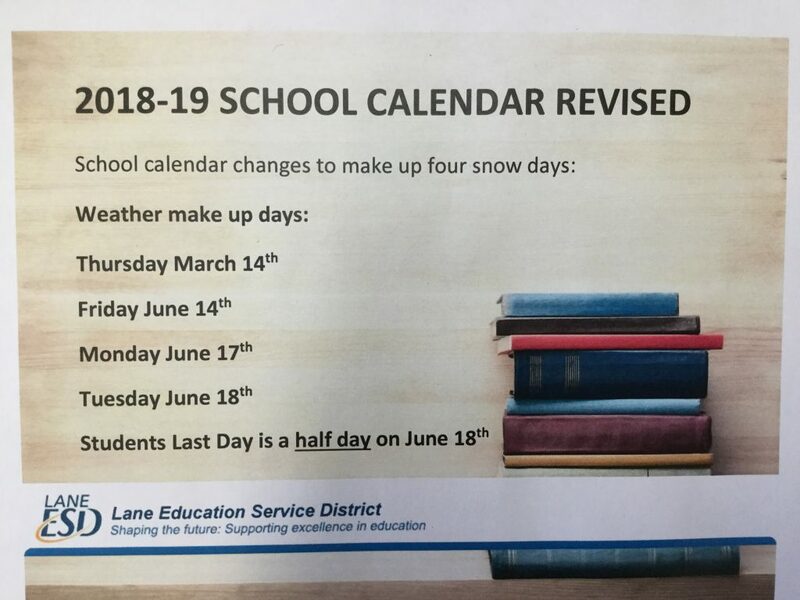 Our principal makes an announcement with silly instructions for all of Lane School staff to follow as they look for the hidden ticket that may be in their room. Once the winner has been revealed, they come to the office to pick their special prize. 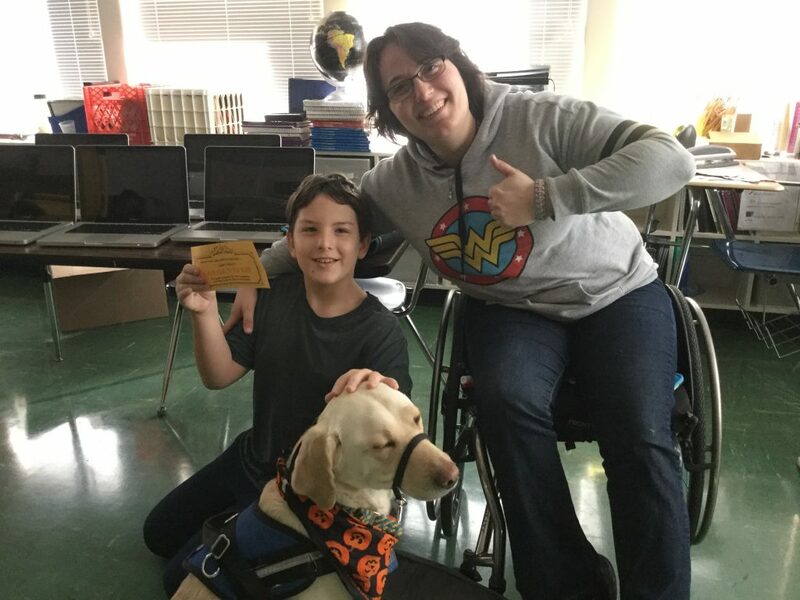 A photo of the winning student, their Golden Ticket, and the staff person (and oftentimes, staff dog) that nominated them goes on the wall to remember that student’s hard work. 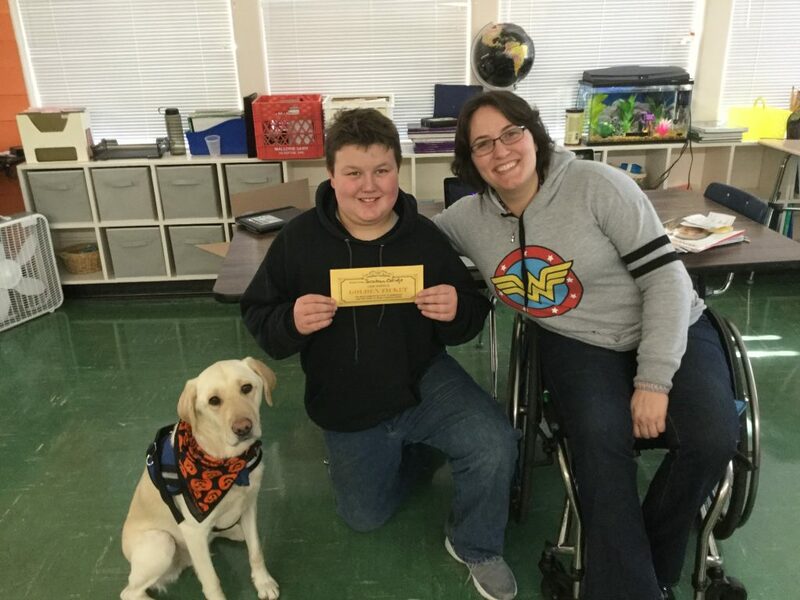 Below are 5 of the 11 Golden Ticket winners from fall 2018. Congratulations Ryan, John-Allen, Caleb, Jonathan, and Skyler! 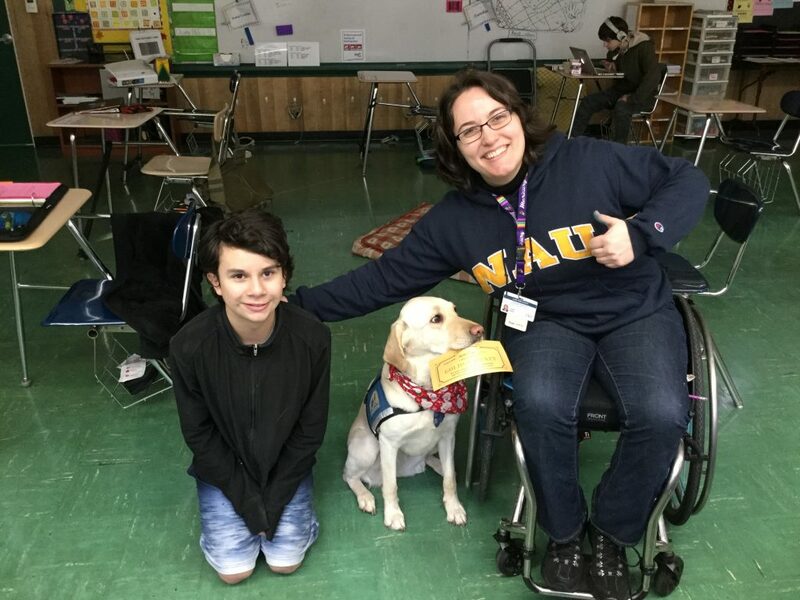 Every Wednesday, each class nominates one student from each period to “Spin the Wheel.” Students qualify to be nominated by being in class, on task, and using their tools. Several winners are drawn from the list of nominees, and winners are called down to the office to spin a prize wheel and earn whatever the wheel lands on. Prizes include “make a teacher do your homework,” “popcorn for your homeroom,” “pick any item from the school store,” and various others. 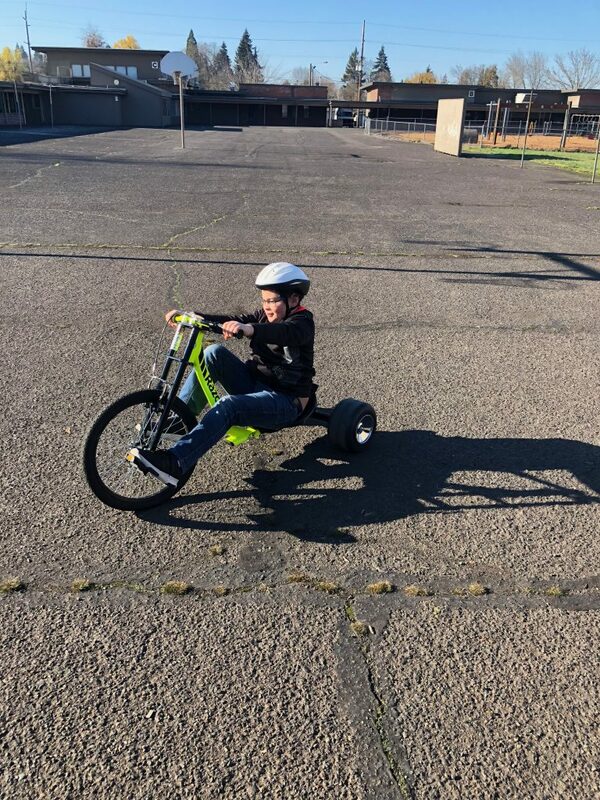 One of the most popular prizes on the wheel is “5 minutes on the trike bike.” Below one of our “Spin the Wheel” winners is taking his turn on the trike. At Lane School, one of the most sought-after and crucial student jobs is peer assisting. 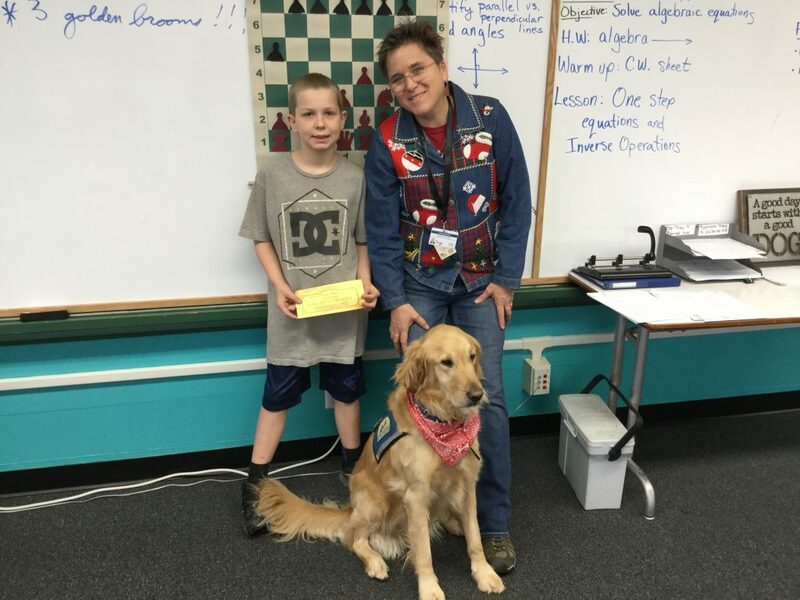 Our older, veteran students help support our younger, newer students with school work and problem solving. 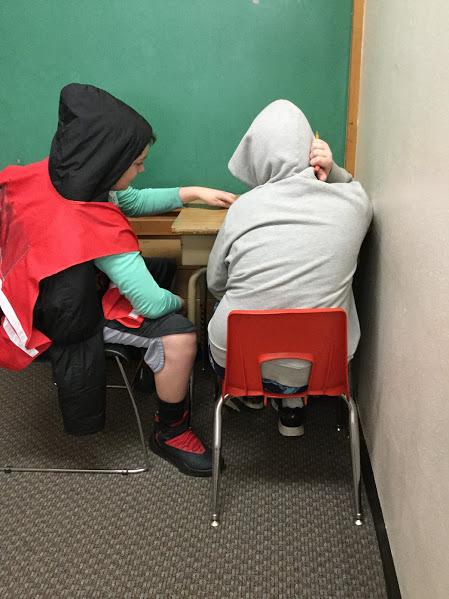 The role gives the Peer Assistant a chance to practice leadership, while providing the younger peer with academic and behavior support from a student role model. 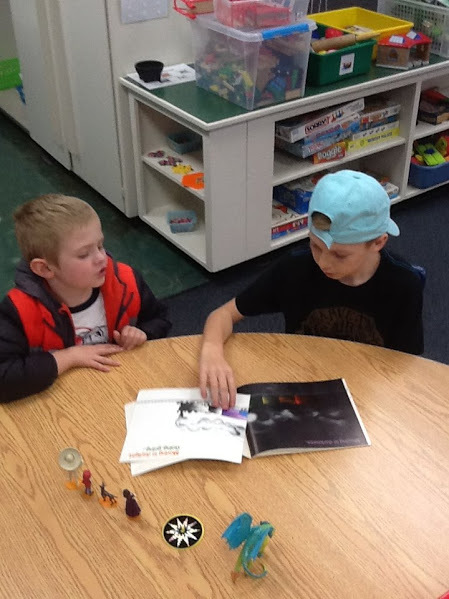 Below two of our fantastic Lane School Peer Assistants, Jaxson and Brogan, help their elementary peers with classwork.